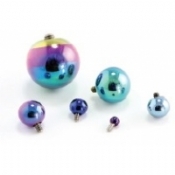 Industrial Strength is a premium body jewellery brand established in 1991 in California. 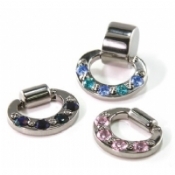 Their jewellery is made in the USA from the finest implant grade materials, set with genuine Swarovski crystals. 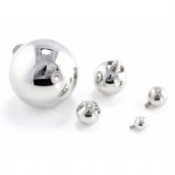 All Industrial Strength jewellery is internally threaded and hand polished. Because of the vast array of size, colour and gemstone options, we are offering Industrial Strength mostly on a custom order basis. The approx delivery estimate for orders is 8 weeks, but this will vary depending on demand - at busier periods it may be longer. Once placed, orders can only be amended or cancelled up until the order goes in with Industrial Strength. It can take a while, but perfection takes time - and it's worth the wait!